Please share this newsletter with anyone who may be interested in connecting with UWABC. UWABC is having an extremely successful 2018 locally, nationally, and internationally. 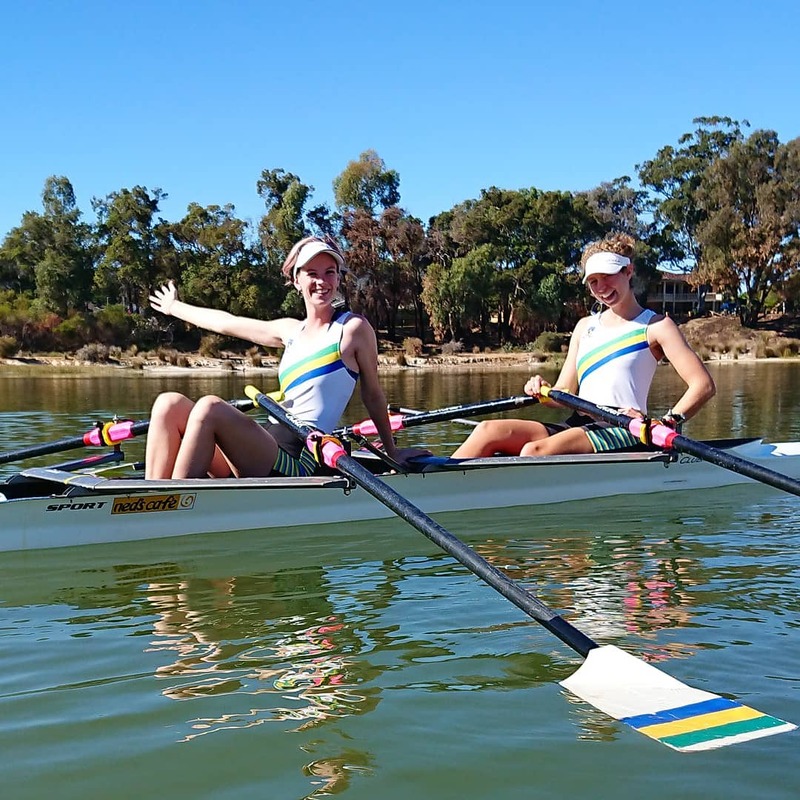 The Rowing WA Pennant Season is underway and UWABC continues to have strong representation in all grades showcasing the incredible depth of talent and the wide variety of rowers at the club. The Shenton College rowing program is having another successful year hosted by UWABC. Well done to Adam Feilding, Jack O’Dea and George White and everyone involved in delivering this program as the season winds up in August. For the first time, the club has employed a full-time Head Coach. This is a huge step forward for the club and comes on the heels of UWABC being named as a Rowing WA Pathway Partner Club in 2017. Stefano Balosso has filled the Head Coach role, and high-performance athletes and novice members alike are excited to hear his booming voice from the dinghy and to view his inspirational video tutorials. 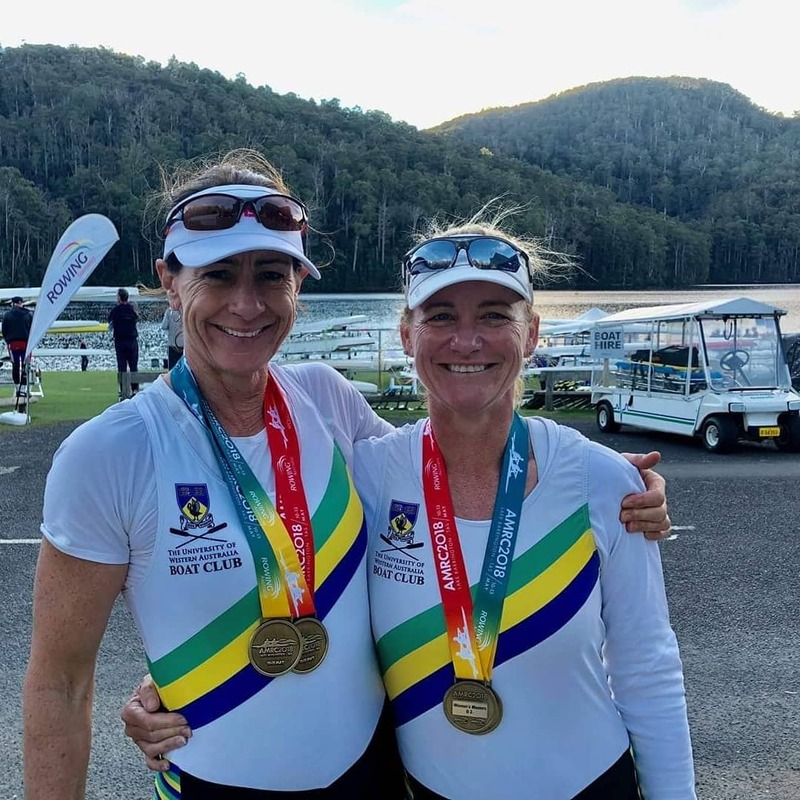 Nationally, UWABC had a strong standing at both the 2018 Sydney International Rowing Regatta (Nationals), and the 2018 Australian Masters Rowing Championships. The results of these regattas are shown below. 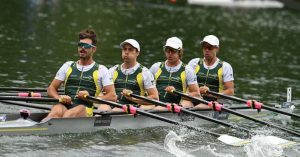 Internationally, James Kerr represented Australia in the lightweight men’s quad scull at the World Cup in Ottensheim, Austria during June 2018 & Lucerne, Switzerland during July 2018. This will prepare him well for the upcoming World Championships in Plovdiv, Bulgaria in September 2018. 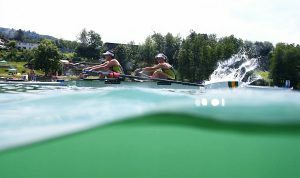 Bronwyn Cox is currently representing Australia in the women’s pair at the U23 World Championships in Poznan, Poland. She has also just finished competing in the World Cup in Lucerne, Switzerland during July 2018. Fraser Pensini currently making his international debut representing Australia in the U23 Men’s Coxed Four in Poznan, Poland. He has also just finished competing in the World Cup in Lucerne, Switzerland in July 2018. Jim Wieland is more than 25 months into the enormous task of compiling and writing the club’s 100-year history. You can support this project by a) contributing material and photos, and b) becoming a subscriber – see below. Event and fundraising planning for our Centenary in 2019 is in full swing with our alumni reconnection events. We are also in the planning mode for our Centenary Gala Ball for October 2019. If you would like to contribute towards the event planning, update your contact details, re-connect with the club, or you are able to contact and bring together other past members, please contact Karlie Payne, Vice President of Alumni Relations, at [email protected]. We want to hear from you! We hope to see you back down at the shed in the near future, whether it be for training, masters rowing or the next alumni event. Here’s to a strong finish for the 2018 season! We are calling for Subscribers to help bring our 100-year history book to fruition! Receive a copy of the completed history in 2019. Contribute to bringing this project to fruition. Have your name recorded on the list of subscribers in the book. Books will be available for collection at the book launch event in 2019, or can be posted at cost. Well done to all our athletes who are continuing to train tirelessly as we ramp up to the WA State Championships in September. Evelyn Bowen won Gold medals in the Mixed Masters’ D Eight, and Mixed Masters’ E Double Scull; and won Bronze medals in the Women’s Masters’ F Coxless Four, and Mixed Masters’ D Double Scull. Andrew Brown won Gold medals in the Mixed Masters’ D Quad Scull and the Mixed Masters D Eight. Alex Harrison won Gold medals in the Mixed Masters’ D Quad Scull, Mixed Masters’ D Eight; and Silver medals in the Mixed Masters’ C Double Scull, and Mixed Masters’ D Double Scull. Tamsin Keevill won Gold medals in the Women’s Masters’ B Pair, Women’s Masters’ C Pair, Mixed Masters’ D Quad Scull, Mixed Masters’ D Eight; Silver medals in the Women’s Masters’ A Eight, Mixed Masters’ C Double Scull; and Bronze medals in the Women’s Masters’ C Double Scull and Women’s Masters’ C Eight. Kate Wall won Gold medals in the Women’s Masters’ B Pair, Women’s Masters C Pair, Mixed Masters’ D Quad Scull, Mixed Masters’ D Eight; a Silver medal in the Mixed Masters’ D Double Scull; and Bronze medals in the Women’s Masters’ C Double Scull, and Women’s Masters’ C Eight. UWA Sport Science supported the club’s Pathways application in 2017 by offering access to their expertise in strength and conditioning coaching, athlete testing, functional movement & injury screening and injury management. In addition to this, through their student workplace training program, practicum students Junjie Goh and Emily Bowker are providing strength and conditioning coaching to UWABC athletes in 2018 under the careful direction of upstanding UWABC members Riley Freeman and Sarah Tomlinson. The team have worked with club rowers at all levels to improve technique and strength in preparation for racing. Thank you all for a professional and well-received program. For UWABC continue its strong presence in WA and around the world, the club is looking for corporate partners who can contribute to the delivery of our rowing program. 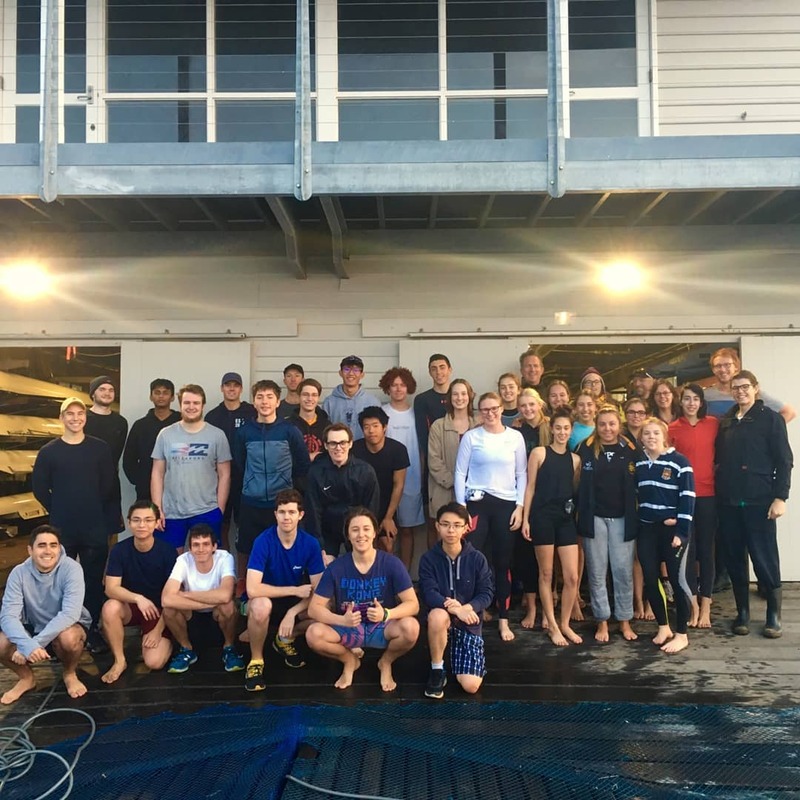 The Boat Club has almost 300 members across all ages including our high school outreach program at Shenton College, novice rowers, open rowers, and masters rowers. With the Centenary events in 2019, this provides an unprecedented opportunity to support healthy lifestyles and mental wellbeing in the community. The Centenary partnerships will provide the club with the chance to continue to support community activities for another 100 years. If you or your business are interested in supporting our local community sporting club, or you know someone who is, please get in touch with Jeremy Gillbanks, [email protected], for more information.